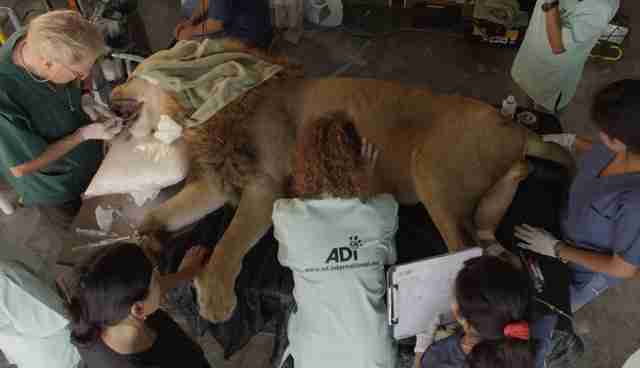 Even lions have to go to the dentist sometimes. A group of lions who were recently rescued by the organization Animal Defenders International (ADI), are all, thankfully, bound for sanctuaries. But the 21 lions saved so far in Peru need some work done on their teeth by veterinarians with the Peter Emily International Veterinary Dental Foundation before they can leave the rescue center and be transferred to their new homes. While they wait, a veterinarian has been performing oral surgery on lions with cracked teeth or injuries in their mouths. According to ADI, many of these injuries are the result of abusive circus treatment. Some animals appear to have suffered blows to the mouth during training. 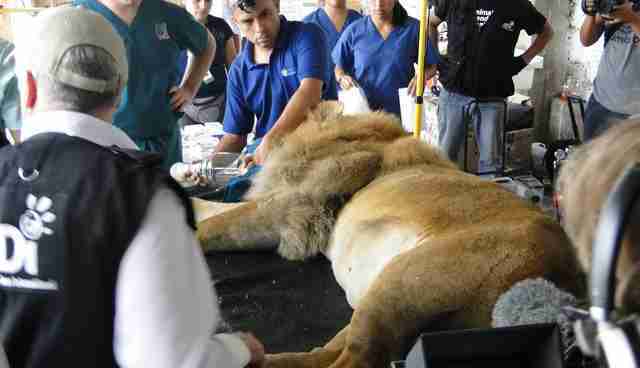 Simba, a lion saved from a circus in Ayacucho, Peru, arrived at the center with the top of a canine tooth smashed off. Veterinarian Dr. Peter Emily built a custom brace to bind the tooth together. 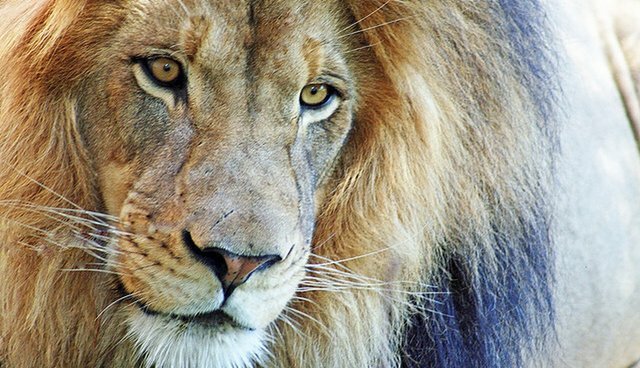 The center's oldest lion is a 17-year-old male named Junior. Junior arrived with a massive injury on his cheek, and went under anesthesia to receive an hour-long surgery. While these lions heal, they and 60 other animals rescued by ADI will be preparing for their upcoming transfer to sanctuaries. See this page for more information on the operation or how to help fly retired circus animals to their new homes.